By constantly updating bios and Windows on Intel computers and trying not to buy Intel in future.. Will be really happy if there is end to x86 cpus and Windows on ARM succeeds on Qualcomm 8CX But at moment it looks more like Windows RT on Qualcomm 850. Well my son was quite impressed so he bought one for his university course. Heat. Ryzen. Intel cpus are full of security vulnerabilities like Smiler, Spoiler, Meltdown, Sceptre, VISA, Computrace, ME and NSA security holes and rootkits . Remember Jeff Bezos. Plus Ryzen has better integrated graphics than any intel cpu. They aren't really if you get a modern laptop with an SSD. All phones/tablets have a type of solid state storage. 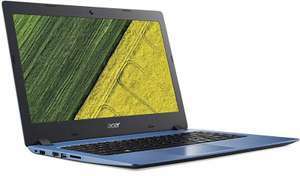 Have to ask why are laptops significantly slower than phones and tablets? You are right: Screen Resolution 1366 x 768. Save your money and and get something that has at least a decent screen - you are looking to pay £350 to 400. Probably Office 365 30 day trial. Will this run Windows Screensaver? good price , heat added. Chromebooks have a very light hardware requirement so actually if a Chromebook suits your needs it will be a lot faster than this laptop with a slow hard disk fitted - the only good thing about this laptop is the 7th gen CPU otherwise the rest of the spec is pretty dreadful. I mean, since refurbs are being included, as an example, I bought an HP Elitebook 840 G3 (Skylake 6th gen) with 256GB SSD and a full HD panel for £200 this week. Eh? This will be more useful and powerful than Chromebooks and tablets at this price range. This is just a basic laptop with a old-gen Core i5, it’s not even brand new, it’s a refurb and has a slow hard disk. The processor is actually fine but as it’s a refurb, there are many other options with SSDs, better displays, etc. Got this laptop for my dad a few years ago, I can't recall if it had the same processor though and had smaller hdd. It's dog slow now, I'm sure an ssd would help but even with an ssd, I'd say its only useful for basic tasks, and if that's all you need a lappy for in this price range, go Chromebook. I have a Chromebook with the Pentium N4200 CPU. That's fine for the lightweight ChromeOS but for full Windows 10, I can't imagine a good experience. Who is buying such a dinosaurs in thoese days?? Require a laptop for basic tasks such as Word &amp; Youtube, will this more than efficient for the job ? If your just doing simple things like Internet, email, simple letters and spreadsheets, watching videos on youtube etc. Have a look at Chromebooks. I went from a £700 Windows 10 machine to a £210 Chromebook and I couldn't be happier. Battery life for cheap laptops is pretty much always poor - unless you splash out a bit more, you're generally stuck with a few hours usage. This one is a 3-cell battery, quoted "Battery life mixed usage - Up to 10 hours and 45 minutes" and "Video Playback Battery life - Up to 8 hours". Take that with not a pinch of salt, but a large ladle-ful. I'd expect no more than a few hours unless you search specifically for laptops with large batteries! I think the 5 would be better with IPS screen. Would this be ideal for some video editing 1080p files ? Ryzen 7 and they didn’t even bother with an SSD for you! At least they’re cheap and easy to fit. Yes, Aspire 3 and 5 series are upgrade friendly. Aspire 5 has an IPS screen. Lol that's now how it works. It depends on the specifications of the laptop. That's like saying a tablet Samsung/iPad tablet is better than a Samsung S10 or iPhone XS because it has a bigger battery... well yeh that's technically the truth but the newer S10 or iPhone XS is better in all other aspects even though it's smaller device and the battery is probably in most cases better optimised. 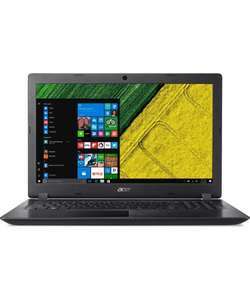 For example, 15.6" Acer with only an i3, 4gb Ram and 1tb hard drive for £380 is much worse than a 14" Lenovo with a Rhyzen 5 or i5 and 4GB Ram and 1tb hard drive or a 256 GB SSD for £450. But for an average person who does just office work or browsing the Acer is probably better for them. While for a student or a person who has a business they should opt for the Lenovo model... Like i said it comes all down to the person and their preferences. HDUK has rejected that deal quite rightly so. It was to protect us. Is from Amazon marketplace, it's a private seller with a dodgy 63% rating and sells furniture. I'd walk away. The price I posted was from Amazon warehouse but it has gone up since. Do you think is worth paying almost 100% more just for SSD that you can fit yourself to a 1TB version? https://www.amazon.co.uk/gp/product/B078KGP5Z7/ref=ox_sc_act_title_1?smid=AWVIKGTVFBY9Z&amp;psc=1 Also tried to post a deal on this earlier but strangely got rejected as is Amazon store LOL: HotUKDeals "Really sorry, but the merchant / store you've shared in the following thread isn't currently suitable for HotUKDeals." I'm sure returning it if it's an i3 not an i5 is not a big deal but you definitely want the 8th gen quad as it makes a huge difference. 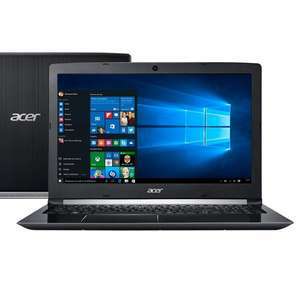 Never miss a 'Acer Aspire' deal again! I mean, have a look around if it bothers you. I don't consider the difference between the two sizes to be a deciding factor at all, they're all small and light enough with thin bezels to have very similar form factors anyway. Here are a few: https://www.hotukdeals.com/deals/lenovo-ideapad-330s-14ikb-14-intelr-coretm-i7-laptop-512-gb-ssd-blue-now-56610-w-code-currys-3185892 https://www.hotukdeals.com/deals/hp-14-ck0599sa-14-intelr-coretm-i7-laptop-256-gb-ssd-gold-was-579-with-voucher-52110-pc-world-3186444 Basically any other laptop that can you use discount code, but has all the baseline specs: 8gb RAM, 1080p screen, (at least) a 256gb SSD, and (preferably) an 8th gen processor. I assume you are quoting me as I'm the only one to mention TCB, Sorry it didn't track for you. Usually the codes listed on TCB are approved. I'd wait a few days and then raise a claim as it should track. This is a great find for a proper 6GB GTX 1060 powered laptop - especially in this increasingly rare 17.3” size and it’s very understated for non-gamers if you don’t like all the gaudy stuff. Nothing wrong with an i5-8300H, it’s still a full-performance quad-core and that’s really all you need these days, hex-core is nice but far from the requirement. I still game on a dual-core machine, I could upgrade it but just don’t need to right now. Just bought this with code “tech10” to bring it down 10%. I think* that’s a good buy for general useage. Success! I've upgraded to a 240GB SSD! Acer were useless, directing me to the parts team who told me "You cannot upgrade the HDD on this model as it is soldered to the motherboard". Based on the similar Acer models I found I took an educated guess and ordered the part 50.GG2N7.004 from stuff-uk for £12 delivered. The 2.5" SSD was £26 from Amazon from another HUKD deal and it's held snuggly in the bay with sticky back velcro. The bios contains a setting to enable the SATA port and set the boot order, then I just reinstalled windows 10 onto the new drive (deleting the partitions on the 32GB drive in the process). It also seems a tiny bit more responsive with the new drive, but that may be down to reinstalling windows. I really like these little machines and if anyone knows where I can get more (preferably in different colours) for under £100 let me know! Ha, yes, I was concerned that the BIOS wouldn't detect the drive if the model isn't supposed to have one. 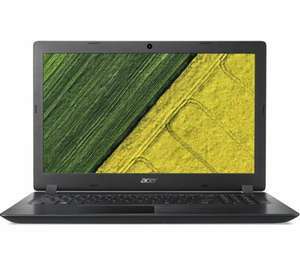 This model does seem to be non-standard, perhaps an Argos specific config that Acer have re-used some parts for. It claims to be the "Aspire 1 A111-31" - annoyingly googling for "Aspire 1" brings up info on those horrid old "Aspire one" netbooks (great naming convention there Acer...). Hope the port is connected up! Sometime it is sometimes it isn't! Turns out you were right - there is an access panel with a space for a 2.5" drive! And removable RAM! To install an SSD you'll need the caddy (or some stickyback velcro) and the right SATA adapter cable which will cost £10-20. I've emailed acer to see if they'll tell me which one as there's quite a few to choose from on ebay and none listed for this specific model. Not sure if its actually worth trying to upgrade the RAM, 2GB should be ok for light office duties. I quite like this little machine, mine arrived in as new condition, well worth £65. N4000 processor not too bad, gets about 11000 on Octane benchmark out of the box. It’s got the latest windows update on it, and about 10gb free at the moment. Yeah, I bought one a few hours ago when you posted it. Only thing I am not sure about is the hard drive, whether it is an emmc or SSD as I would like to upgrade. Can't believe they took out the sata connector must be 50p at most. Thanks. This was my fear. It would be for my wife who isn't the most patient with tech as it is! To be expected for the price I guess. Problem is as Windows grows you'll get stuck and be constantly cleaning drive space so you can update. Got all your apps fighting for cache space constantly be a nightmare. what does this bit mean? am i being slow? utter madness buying that go buy a thinkpad on ebay 7th gen. There we go - better all rounder, twice the SSD, similar performance. Voted x13 hotter. https://www.hotukdeals.com/deals/hp-14-ck0517sa-14-fhd-1920-x-1080p-wled-screen-intelr-coretm-i5-7200u-7th-gen-laptop-256-gb-ssd-silver-or-gold-or-red-359-pcworld-3166990 The SSD is too restrictive on these @ 128GB. RAM easily upgradable on both, but changing the SSD is trickier for the average user. All laptops at this price point will be a compromise, but there is no need to compromise on the SSD when the likes of that HP is available. I think you should look up the definition of "needed" If you can't post a link to a laptop with your suggested upgrades, for a reasonable price, it doesn't exist. Are there any eBay code's out there to reduce the cost of this particular Laptop again (etc), or something?, lol. :-) Thanx. WOW! !, Today of alllllll Day's, where I was busy almost literally all Day?, then ... Proper sod's law this?!. :-( It's a same really, hmmmmmmmmm. Good price for a 7th gen i5, 8GB and full HD. SSD could be bigger but still. Ah that's rubbish. I got mine today. Just had emails from Tesco cancelling and refunding me due to stock issues :-( Back on the hunt now! Depends on what you're doing on it I guess. An SSD is far faster than the HDD - this'll speed up everything on the machine, but then it's not as much storage as the HP one. 128GB will probably be enough for general-everyday use - it might become a problem if you want to store lots of video/audio files on the machine rather than streaming (Spotify/Netflix/Amazon/iPlayer etc). Should be more than enough for your photos, and should run like a dream for most things you throw at it - the laptop has got a pretty good processor, with a decent amount of RAM for the price. This is still slow, and by standard reckoning, for £32 more you can have an older 2GB model that is more unusable. You simply have to limit Chrome tags with 2GB Ram, them needing infinite Ram. This is Argos and you get 12 months warranty. If it had a Sata slot it would be fab. 50% faster than the HP I will concede but if that is an issue then you are likely to get much better performance from the Lenovo which has the same processor but double the RAM - which will make it into an almost usable configuration for Win10 if you are careful about storage. Depends on what premium you are prepared to pay for premium or trust in the Argos refurbishment programme. Or you could pay around £75 for a used HP. Because this is near twice as fast? Why? When you can buy a spanking new HP Stream 11 at Currys for £139 or a better Lenovo 11" for £149. Sorry, I keep hitting the "Z" instead of the "X" on this keyboard; usually I notice, but had a customer come in and missed it before posting. Point is, this is little more than a one trick pony that isnt going to cope at all well in the long term, whereas something like the X220 isnt that expensive and has the cpu power and upgrade potential to keep going for the next 10 years. i had a "cheap n cheerful for browsing" Asus machine, and it was slow from day one, and only got slower; this weighs 0.4KG more and is about 40 times as powerful. I doubt it. There is no such product. If you meant an X220 - its a completely different product. The point about these is the size and weight. There isn't very much available with this footprint at any price with beefy specs. You don't need them if its primary purpose is a bit of browsing. I'm a fan of refurb Thinkpads and had an earlier variant with similar characteristics. Great machine but no replacement for my venerable Samsung Chromebook. When that croaks I may replace it with something like this or the HP Stream running Linux Mint XFCE. Should be ok for an eleven year old in school!? Or think I should just pay more now rather than buying this? I can understand soldering RAM thin tablets and ultrabooks but on bog standard laptops it makes no sense. Also if the RAM goes faulty you can't swap it out, you'd have to send it back to the manufacture for repair. Another thing that annoys me in recent times is the lack of access covers on laptops for memory and RAM upgrades. You often have to take the whole back of the laptop off to do these upgrades now with many manufactures now stating in maintenance manuals that this is only to be done by approved service providers causing possible warranty problems if you attempt to upgrade yourself. Idiots! I think the max RAM for this is 4+ 16 so 20 is still a lot. I'll see how I get on with 4gb for a few days then upgrade to 8 My SSD I'm hoping will just go straight in, somebody above mentioned I might need to buy a casing to hold it, never had that issue before on any other laptops!